CFC CEO Slawko Klymkiw introducing the CBC Actors Conservatory Showcase. The late, great Alan Rickman once said: “Acting touches nerves you have absolutely no control over.” With the Oscars this week, most of us have films we’re rooting for – films we love in large part because of the people in them. Skillful actors cast the right tone without a single word. A simple shrug conveys years of defeat. Shy smiles spark romance. In All About Eve, Bette Davis’ rapidly-downed martini and arched eyebrow cue us as much as the dialogue that we’d better fasten our seatbelts for a bumpy night. 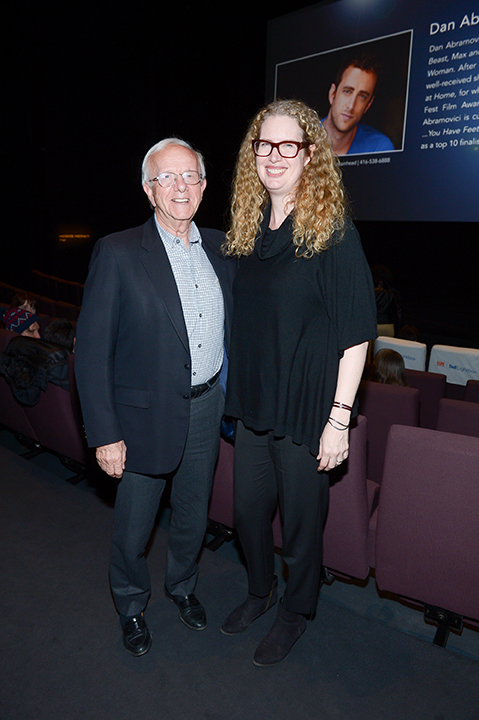 On Tuesday, February 21 at TIFF Bell Lightbox, these skills were on full display. 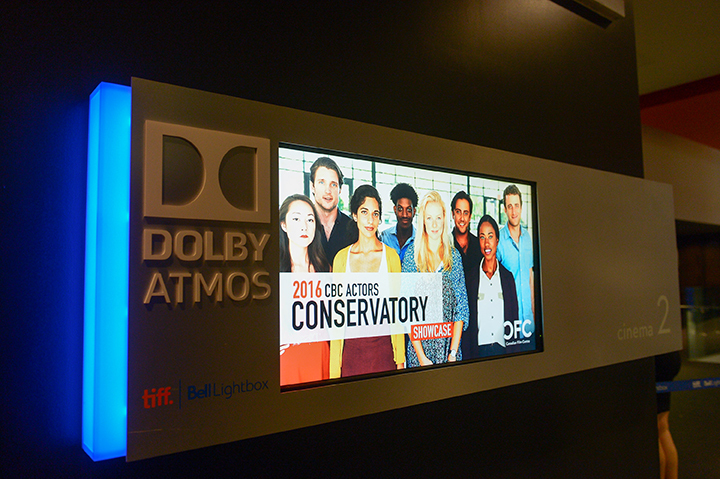 We were treated to a panoply of complex, moving performances, courtesy of the CBC Actors Conservatory Showcase. 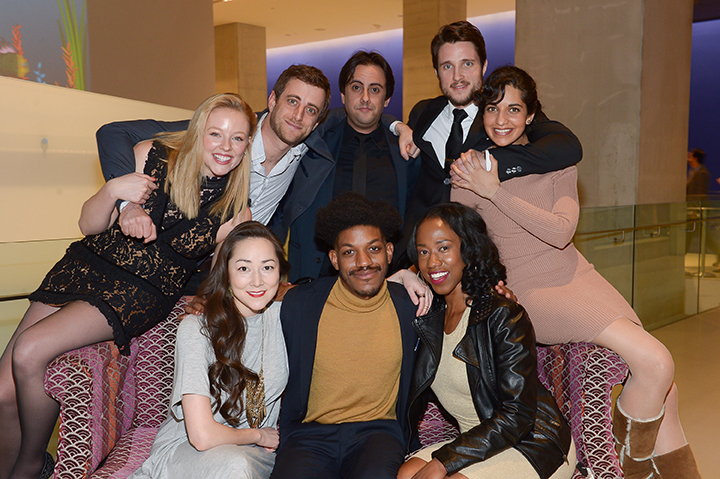 The eight residents of the 2016/2017 program screened their “Close-ups,” three- to four-minute works based on original characters created by the actors themselves. These pieces feature original music and scores from the Slaight Music Residents, as well as collaborations with directors, producers, writers and editors. The 2016/2017 Residents. Front row seated (l-r): Emily Piggford, Vladimir Alexis, Sophia Walker. Back row (l-r): Kelly Van der Burg, Dan Abramovici, Matthew Gouveia, Ryan Bruce, Harveen Sandhu. For the past six months, these artists – Dan Abramovici, Vladimir Alexis, Ryan Bruce, Matthew Gouveia, Emily Piggford, Harveen Sandhu, Kelly Van der Burg and Sophia Walker – have been working with acclaimed mentors, guests and acting coaches to strengthen their instrument and craft. They arrived at the CFC with already-impressive credits and talent, talent they have enhanced by working on their performance, audition and creative storytelling skills. 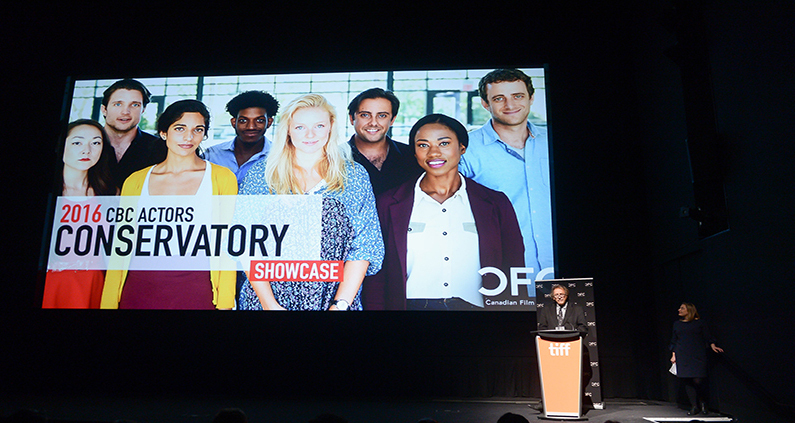 They’ve gained a competitive advantage – a comprehensive understanding of the screen-based entertainment industry and how to navigate it for professional success. Slawko Klymkiw, CEO, CFC, took to the podium next, thanking the Conservatory’s title sponsor, CBC, the Government of Ontario, The Brian Linehan Charitable Foundation and the RBC Emerging Artists Project for supporting this program and nurturing Canadian talent. 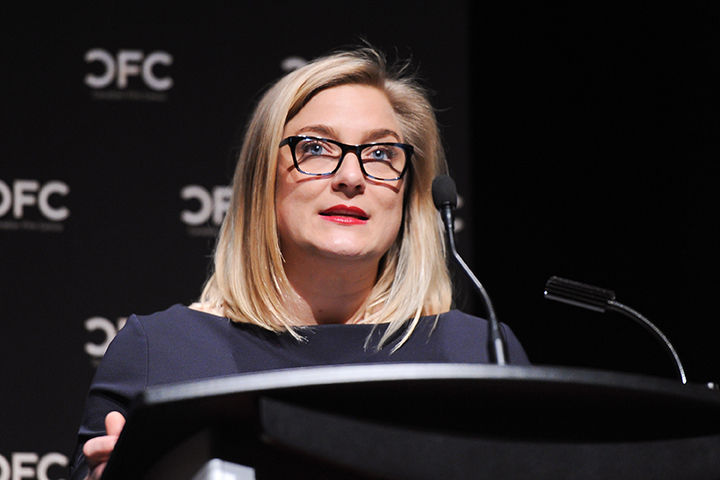 Tara Ellis, Executive Director of Scripted Content, CBC Television, spoke next, saying that the CBC was “thrilled to be partners,” and that both CBC and CFC have a “longstanding commitment to supporting talent on and off the screen,” and “investing in the stars of tomorrow.” Michael Levine, Foundation Director, The Brian Linehan Charitable Foundation, added that by “living in the shadow of America,” the Foundation and its partners like the CFC have shared a key goal: that it has been “important to establish our own brand” here in Canada. Programs like the Conservatory “go a long way” toward achieving this goal. Since its inception, the Actors Conservatory has helped launch the careers of 66 truly talented and diverse actors. Alumni have gone on to work on acclaimed TV series, hit feature films and popular webseries. Some of our recent successful graduates of the Conservatory include Giacomo Gianniotti (Grey’s Anatomy), Emmanuel Kabongo (21 Thunder), Nathalie Krill, (Below Her Mouth), Patrick Kwok-Choon (Shoot the Messenger), Annie Murphy (Schitt’s Creek), Matt Murray (Eyewitness), Alex Paxton-Beesley (Pure), Cara Ricketts (The Book of Negroes) and Varun Saranga (Workin’ Moms), among many more. CFC's Executive in Charge of Music and Acting Programs Larissa Giroux introducing this year's residents. Before screening the Close-ups, Larissa Giroux, Executive in Charge of Music and Acting Programs, CFC, introduced all of the eight residents, bringing them onstage. She also reminded us that nominations for next year’s program have just opened; learn more here. Special thanks to our title sponsor, CBC, for supporting this program, the Government of Ontario, The Brian Linehan Charitable Foundation and RBC Emerging Artists Project. Extra special thanks also to all of the 2016/2017 CBC Actors Conservatory guests and mentors who worked with our talented actors this year. Enjoy our full gallery of images of the evening here. All photos courtesy of Sam Santos / George Pimentel Photography.